When it comes to an expanding economy, the average person may not consider infrastructure to be a key element of its growth. 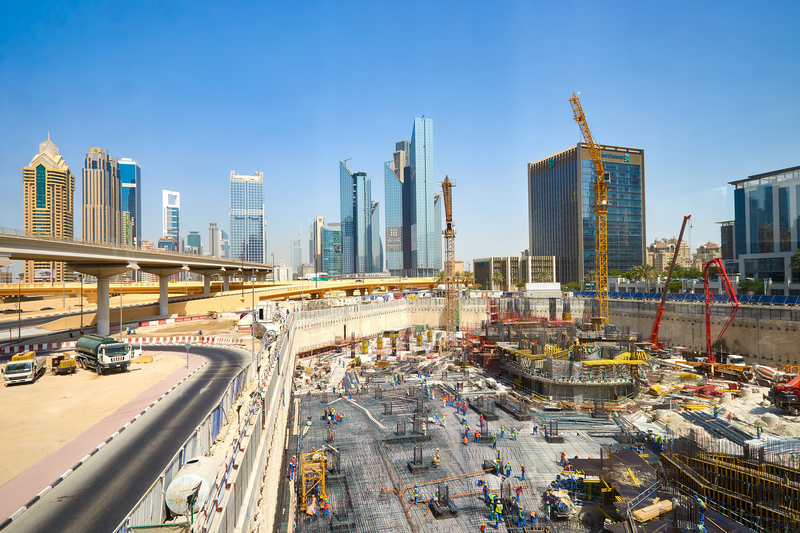 21% of Dubai’s 2018 budget, totalling around AED 55 billion, has been earmarked for infrastructure investments, resulting in a 46.5% increase over corresponding values for 2017. How important is a developed infrastructure, and what impact does it have on the economy? A dictionary defines infrastructure as ‘the basic physical structures essential to the operation of a society’. While this is true, the importance of infrastructure is a bit more nuanced than that. A bridge, or highway, for example, is not just the sum of its operational parts — without it, commuting would be substantially more challenging and a city would not be able to progress accordingly. But it’s not just transportation that is covered by infrastructure. Communication, water, and electric systems, to name a few, are also examples of infrastructure. The key word in the definition, then, is ‘essential’. The more advanced a city’s infrastructure is, the more prospered its economy would be, and the more economic growth a city enjoys, the more tourists and people looking to relocate there increases. For that reason, the initiatives of the Government of Dubai have boosted the Emirate’s position in infrastructure efficiency, making it the world’s fourth best in basic infrastructure ahead of developed economies such as Hong Kong, Switzerland and Denmark. As Dubai becomes more connected, it will invite more foreign investments and its property market will benefit. This market is made up of a diverse investor base, with over 200 nationalities investing in the 18 months to June 2017, and has drawn in significant investment making the UAE the sixth-highest for inbound property investment after being eighth-highest as recently as May last year. The Foreign Direct Investment (FDI) into the UAE recorded a 7.29 percent growth in 2017, and a 21.17% increase in the past three years alone, evidence of a capital growth — a key factor in the attraction of investors. Underscoring this growth, Dubai Land Department recorded AED 58 billion through 13,759 sales in just the first three months of 2018, 17% of which being from foreign investors. Dubai, therefore, represents a good opportunity for institutional investors looking to diversify their property portfolio. In fact, the average return on investment achieved on apartments in Dubai last year was 7%, while villas resulted in a 5% ROI. Case in point, MAG EYE, MAG Lifestyle Development’s unique residential compound being developed in the heart of Meydan, the destination for business, sport and lifestyle that is shaping the heart of Dubai, will offer an expected 10% ROI. The reality of this is that there will be more opportunities than ever for investors looking at the region to consider. Dubai is an active real estate hub where there exists growth opportunities, and under the guidance of His Highness Sheikh Mohammed bin Rashid Al Maktoum, Vice President and Prime Minister of the UAE and Ruler of Dubai, and in alignment with the Dubai 2021 plan, The Emirate features among the strongest and most dynamic economies on the global map.